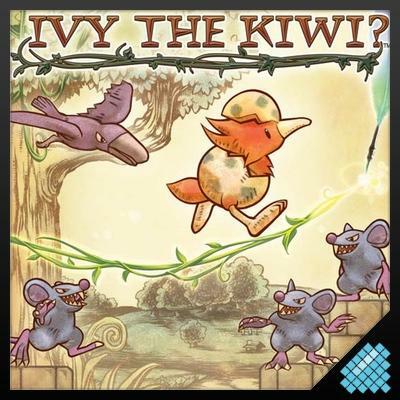 Hidden Gems: Ivy the Kiwi? If you have any favorite titles that you consider hidden gems, let us know in the comments below and we might feature your pick in the next Hidden Gems entry. Yes, the question mark is totally intentional and a part of the game's spelling. Ivy the Kiwi? admittedly feels like a budget title almost the whole way around. This Xseed property's biggest claim to fame is that it's "the new platformer from the creator of Sonic!" It says so directly on the box. And while Yuji Naka was the Lead Programer on Sonic the Hedgehog, I have to note right here and now that Ivy the Kiwi? is not a return to hedgehog form. That's not a slam on the game, but it is a point worth qualifying. Okay, so, this hidden gem must have some gem-like qualities, right? The music is repetitive, the level design is simplistic and you'll have to fight the fact that it's on a disc when it feels like it could have been released as WiiWare throughout your entire play; however, Ivy the Kiwi? has officially become affordable fun. You'll find this Wii title for right around $10. That will get you a rather unique gaming experience. You'll use the Wii Remote to guide the constantly walking kiwi through side-scrolling, puzzle-ish levels. What starts out as an exceptionally easy game becomes somewhat addictive and challenging. The Wii is packed with nice, little titles like this one, and if you've got some spare scratch and the desire to play something a little different, then step up. Ivy the Kiwi? is a great little game.